This is the best Lauren Oliver book EVER! Like Lauren Oliver, and also Nick (the main character of this book), I have a little sister. I completely understand how annoying yet wonderful they are. But even if you don’t have a sister, pshht, don’t fret. The story will swallow you. I did struggle to pin where the plot was headed. It’s all very vague and summery at the beginning. It basically blurted: there-was-a-car-accident-but-we-will-pretend-it’s-okay-and-just-do-our-summer-jobs-and-try-not-to-rekindle-old-romances. I was questioning how the plot would float. But then things started VANISHING so all was well! Can we talk about the sisters now?! It’s told in split POV by Nick (Nicole) and Dara (the younger sister). Dara is wild and messy and violently alive. Nick is perfect and put-together. They love each other fiercely until A BOY* gets between them. Also a car accident wrecks their lives. Dara is scarred. Nick is a mess. The sisters relationship is basically fire and ice. They used to be as close, but now they’re like aliens. Dara takes stupid risks and steals Nick’s best-friend (Parker) just for the sake of it. There’s rivalry. There’s bitterness. Each sister thinks the other is more perfect, more fun, more loved. They’d kill each other, but they’d kill for each other first. It captures what it is to be a sister so well. * Boys are clearly trouble. Why do YA book characters not see this? But HOW ABOUT NO to that ending?! I literally whispered out loud, “NO.” Scream-whispered? I smiled because it was perfect and then I screeched because it was so awful. Basically GO READ IT NOW. I love this book in all its sisterly messiness. I loved the characters and the writing. I love/hated the ending. I’m still absolutely mind boggled. If you need me, I’m the shocked cuttlefish in the corner. Thank you Hachette Australia for the review-copy! 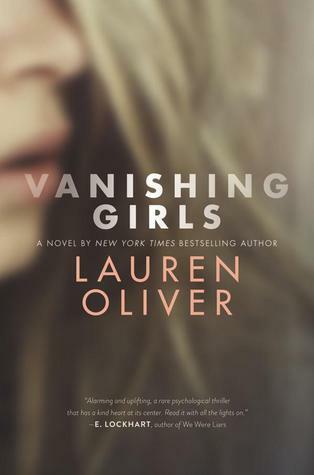 Vanishing Girls by Lauren Oliver came out in January, 2015. “Alarming and uplifting, a rare psychological thriller that has a kind heart at its center. Read it with all the lights on.” — E. Lockhart, author of We Were Liars. let’s talk about SISTERS. do you like reading sisterly books? also: do you think books have a bigger impact on you if you can really relate to the character dynamics? …has, like, 4 sisters, which is a lot. But none of them have every vanished or excelled in stealing her clothes like the sisters in Vanishing Girls, so silver linings. Currently she’s reading A Court of Thorns and Roses by Sarah J Maas and just a LITTLE underwhelmed, which is sadness. Previous Post: « Weekly Fury #42 // Winter cover reveal! And I Nearly Run Out Of Books. Awesome review Cait 🙂 I loved this book too – Oliver’s writing style was completely captivating. I know what you mean about the plot being vague at first, and it just made that twist so much more wowing – it really was a shocker! The sister dynamic was interesting to read about as well, they were such complex characters. Gosh darn it Cait, you’re making me regret not buying this when it was on sale for like 4.99 then 4.49. 🙁 Gah. GUYS RUIN EVERYTHING. THANK YOU GUYS FOR RUINING EVERYTHING. Just kidding. I have a sister, we’re seven years apart in age and don’t get along well. At all. Like we don’t get along at all, haha. It’s quite sad really. Anyway, I loveeee books that revolve around sisterly aspects. Books always have a bigger impact on me if I can relate to the character dynamics. My gosh, I’ll have to either buy this ebook or borrow it from the library, but I really want a hardcover because it’s so gorgeous. Hmm, I had a few issues with the pacing on this one. The synopsis says it’s about a missing sister, but that doesn’t happen until more than halfway through the book. It was distracting because I kept waiting for it to happen. The end did pretty much blow me away though. I did NOT see it coming at all. Well thank you for actually telling us about this book, Cait. I feel like I’m reading a review of We Were Liars all over again. 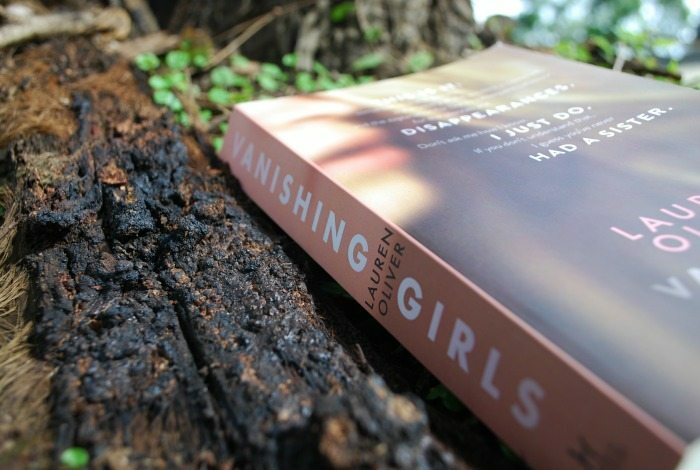 You’ve got me wondering the what the fuss about this ending is, and now I don’t think I have a choice between whether I read Vanishing Girls or whether I don’t read it. I love books about family, so yes, I think I would love reading about sisters. “The author is genius at carving a visual with only a few words.” This. 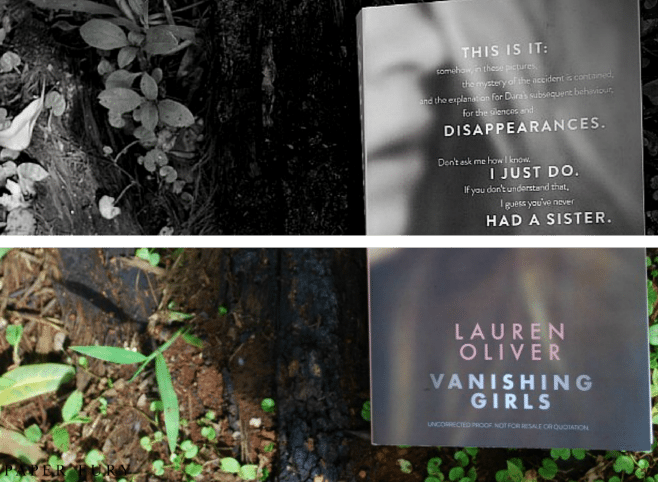 And this is why (plus the whole ooo mysteries) I’m putting Vanishing Girls on my tbr list. I’ve not read any other Lauren Oliver, so this seems a good place to start. I’m currently polishing up a rewrite I did of my first few chapters of The Querying Novel, and I am so struggling with the whole visual-pretties v makes-sense-writing balance at the moment. Thanks to studying Latin ’til A Level (VCE level, I believe? My mum loves all things Australian, so I have some knowledge through her. Basically, ’til I was 18), I am naturally verbose, but then when I try and remove excess adjectives and overdescription, I’m left with dry sentences. Help! Sorry, tangent. Back to the post, Alex. *slaps hand* 😛 As much as romance may be overdone in YA, I think it’s great to have books where there’s potential romance that destroys relationships – it shows that peril of casting aside friends for a boy (or girl, or other). I do like reading books with siblings, but I don’t come across many explicitly. Perhaps because of the genres I read/write? For instance, in my most recently-finished first draft, the MC goes to the brother of her missing friend, but the brother is all snooty (because: steampunk) and we don’t see much of his help throughout the book. I will legit just read every single thing Lauren Oliver writes because she can do no wrong (well, except Requiem but shhhh we’re ignoring that right now). Panic was just AMAZING and I’m so happy to see her doing more contemporary stuff, rather than dystopia. She has le writing chops to wow and her plotting is just . . . well, plotacular. I have heard so many good things about this book, mostly from people like you who have found her books a little hit and miss. And if it’s got rave reviews from you and E. Lockhart – WHO AM I TO QUESTION IT? It’s going on the TBR list right now. AAAAA I love Oliver’s books – her writing = Lyrical Perfection!!! Beautiful review, Cait! Books with sisters are some of my favorite, probably because my sister if my best friend. I just adore reading about the relationships that are (sometimes) complicated but incredibly strong. That being said, I don’t need to personally relate to character dynamics to feel connected to it. That’s the beautiful thing about fiction, you can experience things that you never have in reality. I’ve never read anything by Lauren Oliver, but I’ll have to check this out! 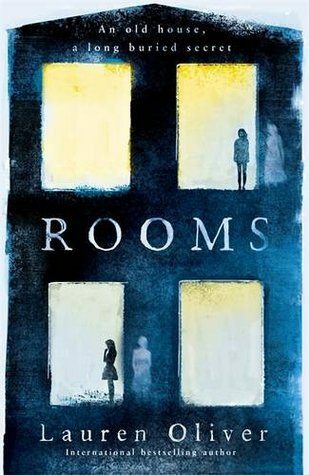 I’ve only read one book by Lauren Oliver (Rooms)… and I hated it. Genuinely, properly, hated it. How does she write such messed up characters? I kinda wanted them all to burn… but then they would have become ghosts and I’d be stuck with them for ages. Which would be a shame. 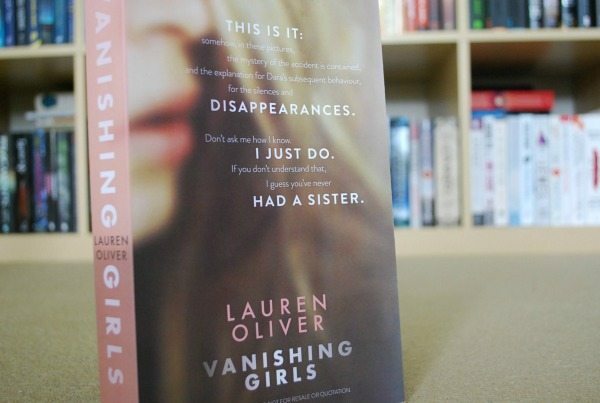 But Vanishing Girls looks quite good! Although, the whole sister thing is a bit of a mystery to me – my sister and I are chalk and cheese, and we’ve NEVER gotten along. Oh well, such is life. At least tell me Nick and Dara are more likeable than the family in Rooms. That would be an instant bonus! I really want to read this but I don’t know why because the only Lauren Oliver book I’ve ever read is Panic, which sucked. This sounds fantastic though so obviously I need it. I’m STILL reading the Salla Simukka book even though it’s so short. I think I’ve forgotten how to read. Yes I love, love, LOVE sisterly books. 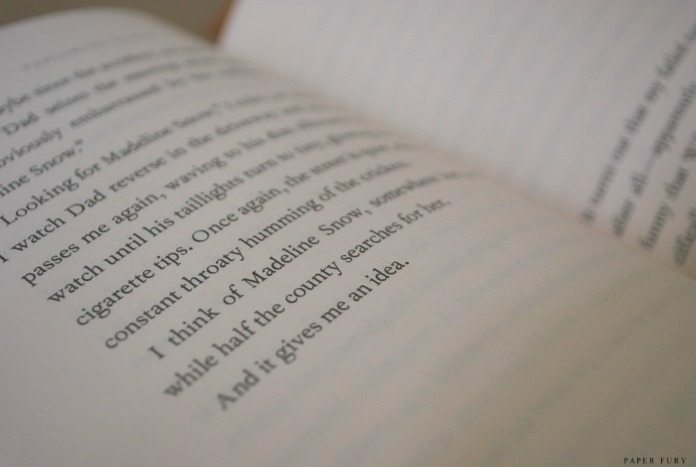 When you’ve got a sister and you can relate to the book you have already established a personal connection with it – without even having read enough to be emotionally invested with the characters even! Basically it’s just a sign that the book will rock – and if it doesn’t then it will affect you DEEPLY. Hate it, or love it. No inbetween. This sounds absolutely amazing Cait! You know how much I love psychological thrillers, and this sounds like it would be right up my alley. I love the sound of the sibling dynamics. “They’d kill each other, but they’d kill for each other first. “ This is such a beautiful quote, and you’ve captured the love siblings have for each other perfectly here. I can’t think of another way to explain it, but you’re spot on. I’m the oldest of 3, so I totally relate to this. All three of us have completely different personalities and interests, so seeing that the two narrators have similar dynamics makes me really excited. Thanks for sharing – I can’t wait to start this soon! OMG I HAVE A COPY OF THIS AND I CAN’T WAIT TO START READING IT NOW. But I really really have to finish the Graceling trilogy. Which I like, but now…Grr. The struggle is real!!! I have a sister, by the way. It’s complicated. Oh, this book. I adore this book. I don’t have a sister (though full confession: I have always wished I did!) but it didn’t even matter, this story was just amazing. I related a LOT to Nick, even though I didn’t have a Dara, I just saw a lot of myself in Nick. So it was super easy for me to connect on that level. And the writing.. I mean, come on. Lauren Oliver is just… so amazing. I would read absolutely anything she wrote. I mean that, anything. Because I’d be willing to bet that her to-do lists are more poetic that anything that has ever come from my mind! YAYAYYA I’M GLAD YOU LIKED IT. I’m still deciding whether I do want to pick this up, maybe later, because it’s not something I would necessarily read. BUT THEN AGAIN IT’S LAUREN OLIVER. Not that I’ve read any of her books besides one of them. Maybe I should try this hahah. I haven’t read this but SISTERS! You should totally read Sister, Sister by Rachel Zadok. It’s a very twisted and dark South African story about twins and I loved it. Not YA at all, yet Vanishing Girls sounds somewhat similar to it nonetheless. Haha, so many differing opinions on this book! 😉 Although, one thing is for sure, Lauren Oliver here illustrated very well the complexities of a sibling relationship. I actually liked Panic a lot, but mainly because of how the thrill and suspense was built up 😛 I really need to read this and I’m a bit disheartened I didn’t get the eARC when it was still available! I want to see how their relationship plays out! As a sister, I feel like this is one book I’ll actually have to go and pick up. I’m the oldest of four girls, and even though, as you mentioned, there’s all the feels, I also really, really enjoy books that have sibling relationships in them, even strained. I mean, of the maybe 15 favorite books/series I have on a shelf, about 9 have a character who is an only child (and then half of them are orphans, too). I cannot remember life when I was an only child. And so even though I anticipate crazy feels I still will read it, because there need to be more siblings in the book world. JUST SAYING. But anyway…I’m really looking forward to this one. So far, my favorite Oliver book has been Before I Fall. If this book is better than that one, I will be delighted. One sisters book I’ll recommend is If You Find Me by Emily Murdoch. It is heart-breaking, but also beautiful. EXACTLY! TWICE as many disappearing girls! More for your money! (We can totally go into book marketing, too.) Ohh, I haven't read Before I Fall yet, but seriously I think I'm going to reserve it from the library because I'm developing quite a love for Oliver's work and so many people say that's her best. xD I WANT TO READ IF YOU FIND ME!! It's on my tbr! I’ve been really wary of this book because of Panic which I absolutely detested, but you know what? I think I might add this to my TBR. I’m loving the sister plot and the vanishing girls sounds creepy and mysterious. The writing sounds beautifully evocative too! Great review Cait! I really enjoyed this book as well! The ending basically killed me and I had to re-read it to make sure I wasn’t hallucinating. I’m pretty sure this is my fave Lauren Oliver book so far as well, I did like Delirium, but I read it too long ago to even really remember much about it. Anyway, great review! And you can definitely relate to the whole sister thing even more when you’ve got your own, especially if she might possibly be like Dara more than you care to admit.